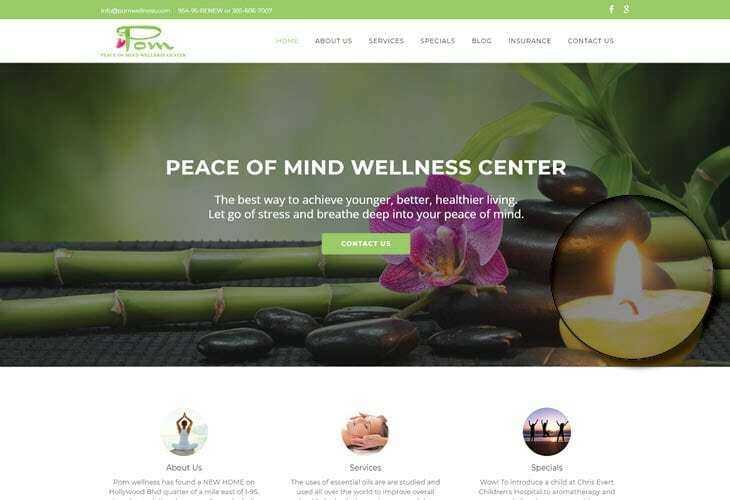 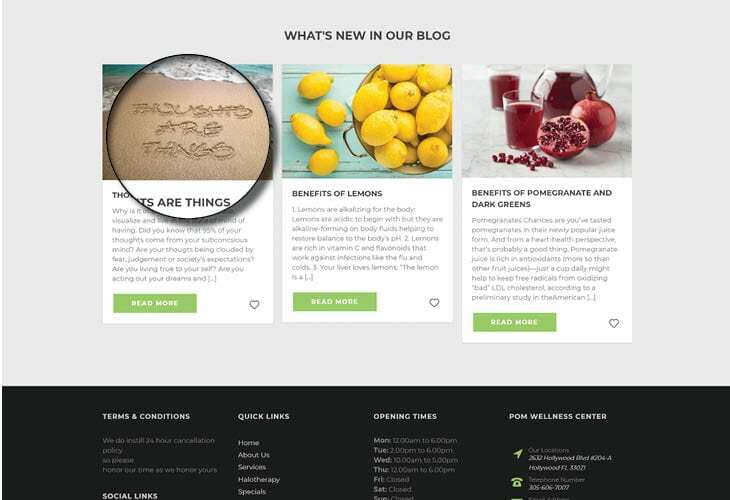 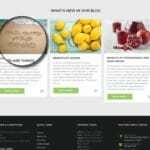 Aside from making them a tri-fold flyer, Peace of Mind Wellness Center of much more known as POM Wellness Center commissioned Simplio Web Studio to design their Massage Therapy Website. 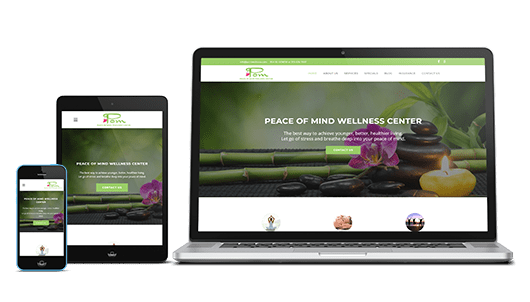 The result is a responsive, straightforward website that showcases the crucial information about the company. 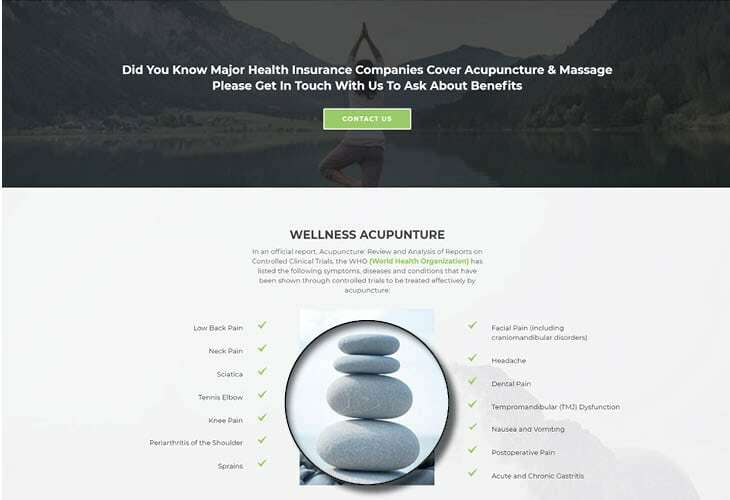 In the front page of the website you’ll be able to see information about the company, services, specials, a sneak peak of the blog posts, and call-to-action button to contact them for information on the benefits of acupuncture and massage – two main services they offer.